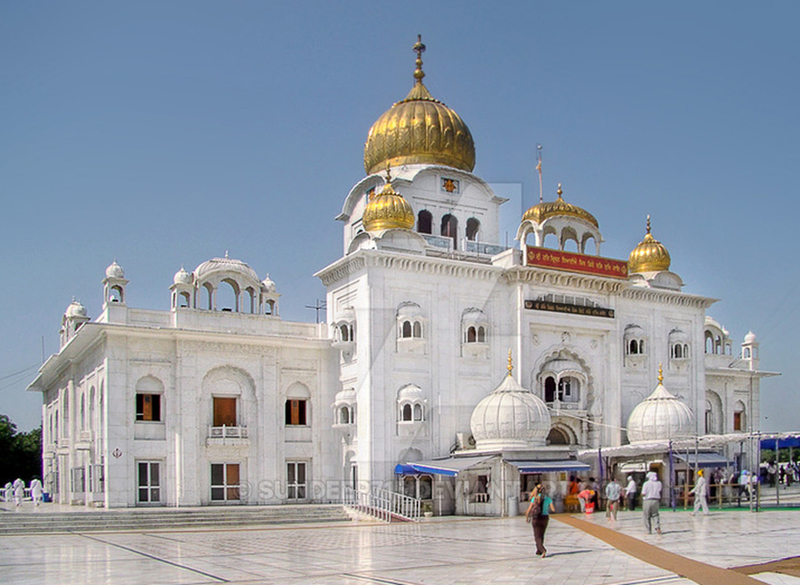 Gurdwara Bangla Sahib is the most prominent Sikh gurdwara, or Sikh house of worship situated in the heart of New Delhi's famous Connaught Place in the Capital city of India. It is located on the eastern side of the intersection of Ashok Road and Baba Kharag Singh Marg. It is instantly recognisable by its stunning golden dome and tall flagpole called the Nishan Sahib. 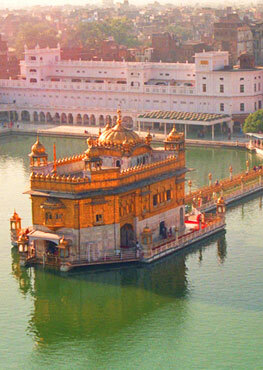 This sacred shrine has association with the eighth Sikh Guru, Guru Har Krishan, and the the pool inside its complex, known as the "Sarovar", is considered holy by Sikhs and is known as "Amrit". The building was built by Sikh General, Sardar Bhagel Singh in 1783, who supervised the construction of nine Sikh shrines in Delhi in the same year, during the reign of Mughal Emperor, Shah Alam II. Originally this place was the Bungalow ("haveli" or "bangla") of Mirza Raja Jai Singh, hence the name "Bangla Sahib". It's original name was Jaisinghpura Palace. A Rajput, Mirza Raja Jai Singh, was one of Mughal emperor Aurangzeb's most important military leaders and a trusted member of his Darbar (Court).